was a bit unsure if i should get these but then boy did myProtein surprise me, again. these fit so great! 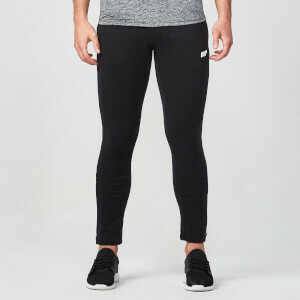 they're comfortable, not too tight around the leg and the groin and just are so soft to the touch. definitely recommending these! Well the pants rlly does bring out your calves and quads,fit tightly like a second skin.But the prob i have is tht its too long,i look stupid with extra 2 inch of pants under my ankle. Great purchase. 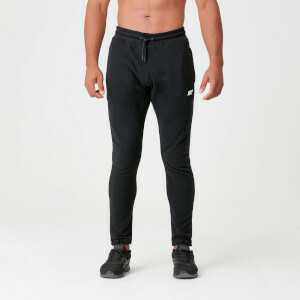 They are comfortable without being restrictive or too warm. Great value for money. The jogger came to me in a dirty state and the material didn’t feel good. 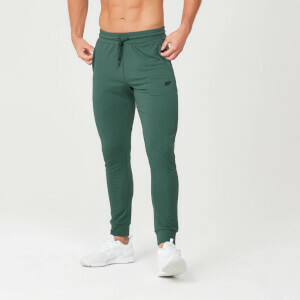 My son loves these joggers-he says they are comfortable to wear and fit perfectly. From a mothers point of view they wash well,don't shrink and keep the colour well. A staple for a gym lover's wardrobe. Arrived promptly after ordering and are comfortable to wear in the gym during weightlifting sessions.